In North Carolina, when charged with a DWI, you not only have to face the uncertainties of being charged with a serious offense, but you also have to face the reality of having your driver's license suspended for at least 30 days - regardless of whether or not you're ultimately convicted of DWI. Even if you are convicted of DWI, you may be eligible to receive a Limited Driving Privilege (LDP) that allows you to drive during the period of your driver’s license revocation. This means, assuming you are eligible, there is a way for you to drive legally while your driver’s license is revoked. However, if you are granted a LDP, there will be limits to not only when you may drive, but also for what purposes you may drive. 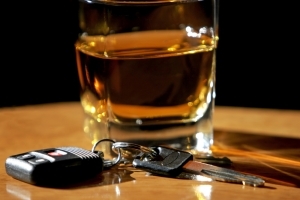 Are You Eligible to Apply for a Limited Driving Privilege After a DWI? If convicted of DWI, you were sentenced at a Level 3, Level 4, or Level 5. The underlying charge for which you were requested to submit to a chemical analysis was disposed of without a conviction or, if convicted of DWI, you were punished at a Level 3, Level 4, or Level 5 and you have complied with at least one of the mandatory conditions of probation listed for the punishment level imposed. At the time of the offense, you had not willfully refused a chemical analysis (i.e. breath test or blood test) in the previous seven years. If you do not meet the requirements above, in all likelihood you will NOT be able to receive a LDP. To apply for a limited driving privilege, you must file an application in duplicate with the Mecklenburg County Clerk of Court. After review by the District Attorney, the clerk will then schedule a hearing before a district court judge where the judge may issue a limited driving privilege. For those convicted of underage DWI in North Carolina, you must complete AOC-CR-312 to apply for a limited driving privilege. If a substantially similar conviction occurred out of state, you would need to complete AOC-CV-352. If you have non-traditional working hours, you can apply for extended hours upon establishing to a judge that you are in fact required to drive for essential work-related purposes outside of the traditional hours. In addition to the standard working hours and specific purposes restrictions, there are other limits to your driving privilege as well. To begin, your limited driving privilege does not permit you to drive if you have any amount of alcohol or other controlled substance, unless that controlled substance is lawfully obtained and taken as prescribed, remaining in your body. Additionally, this limited driving privilege does not authorize you to drive a commercial motor vehicle. If you do violate any of the restrictions of your limited driving privilege, not only will you likely lose your limited license to drive during the period of your revocation, you will also likely be charged with driving while license revoked (DWLR) in violation of N.C.G.S. 20-28. Questions About DWI Limited Driving Privileges? We Can Help. As you can see the eligibility and application process for a limited driving privilege is a daunting task. Something as small as missing a deadline, producing the wrong information, or forgetting to include a necessary piece of information can cause you to lose the ability to receive a limited driving privilege. Therefore, if arrested for a DWI, it is imperative that you contact an attorney not only to help you through the criminal aspects of your DWI but to also help you receive a limited driving privilege. What Qualifies as Reasonable Suspicion?